I’ve dealt with sleepless nights in babies during bouts of illness, while teething, and when my little ones were working on developmental milestones…but having a baby who is unable to sleep because he’s so uncomfortable from constipation is just heartbreaking. This was my third baby, and we’ve always introduced solid food after six months by following the practices of baby-led weaning. 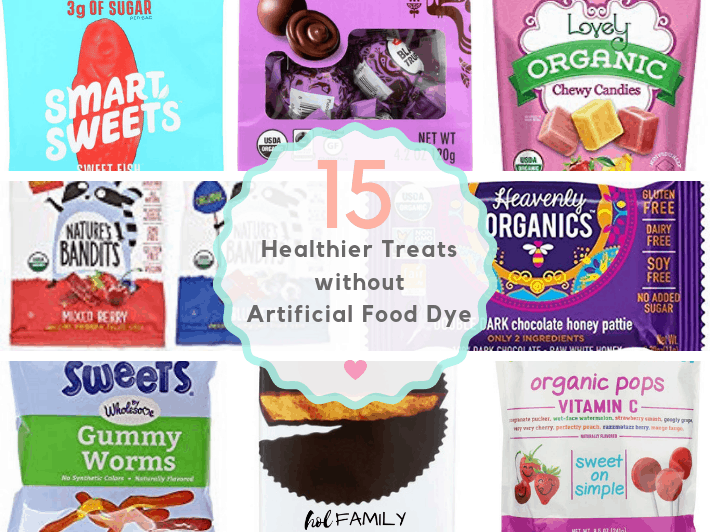 We offer only what we are eating at meals, and find this has helped reduce picky eating (and me being a short order cook). For some reason, this third baby hadn’t gotten the memo. He liked carbs, carbs, and more carbs and refused to eat pretty much anything else…except applesauce! He LOVED applesauce. 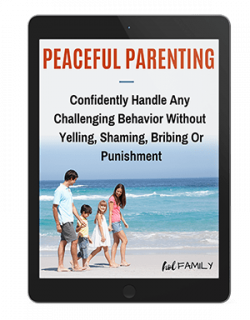 I had used this to my advantage and offered applesauce with veggies, other fruits, and even some probiotic powder and fish oil from time to time. Unfortunately, we had reached a point where applesauce wasn’t cutting it with getting this little guy’s bowels moving…I needed to take this applesauce to the next level! That’s when it hit me…why not make an applesauce with some of my favorite, tried and true natural remedies for constipation? And voila, a recipe was born! I’ve purposely designed this recipe to make one small batch of jello. Why? Because it typically gives great results after just a couple of servings! However, if you’d like to make up a big batch and use it daily to keep your little one (or yourself) regular, just double the batch! 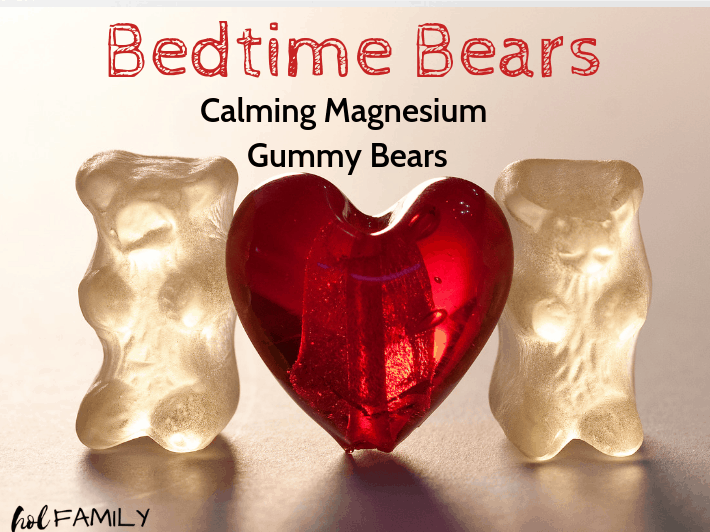 I’ve also experimented with 2 tbsp of gelatin instead of one and found it does provide a firmer jello but my little guy prefers it on the softer side. You can play around with it and find the texture that works for you. 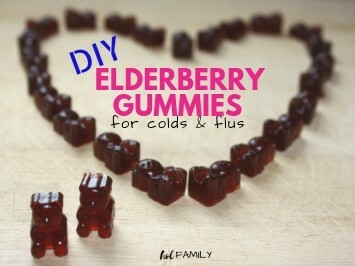 I wouldn’t go beyond 2 tbsp unless you are doubling the batch or else you’ll end up with gummies and that’s a whole different recipe! This recipe calls for applesauce, lemon juice, psyllium, chia seeds, gelatin, and hot water. 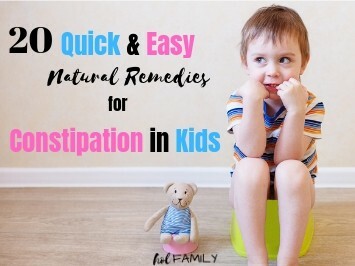 If you’d like to read more about why these ingredients are so beneficial for providing relief from constipation in babies and children, you can read my top 20 natural remedies for constipation in kids here. 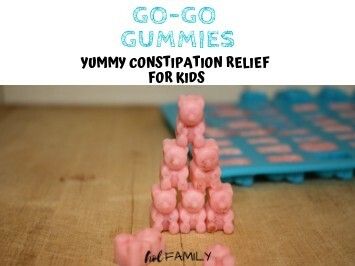 This constipation jello is the perfect way to relieve constipation in babies and children. In fact, grown ups will love it too! It is the perfect combination of sweet and tart, with ingredients that will gently help to get things moving. Combine the puréed raspberries, applesauce, lemon juice, psyllium husks, and chia seeds in a medium sized bowl. In a separate bowl, mix the gelatin with the hot water and stir until dissolved. Combine all of the ingredients together and mix thoroughly. 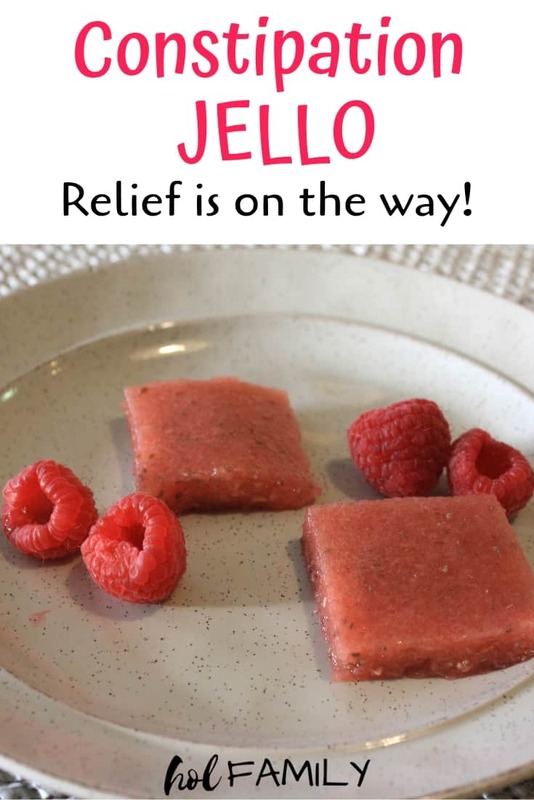 Pour the jello into a glass container with a lid. Refrigerate for one hour or until jello is completely set. 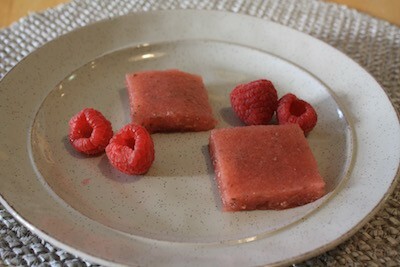 Cut into squares or use cookie cutters to create fun jello shapes. Enjoy! Start with just one serving until you know the effect in your child. 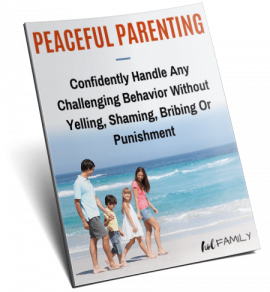 Desired results are typically achieved within 12 hours. What size glass dish should I be using for a single batch? For a double batch? Thanks Raina! Going to make a batch now.